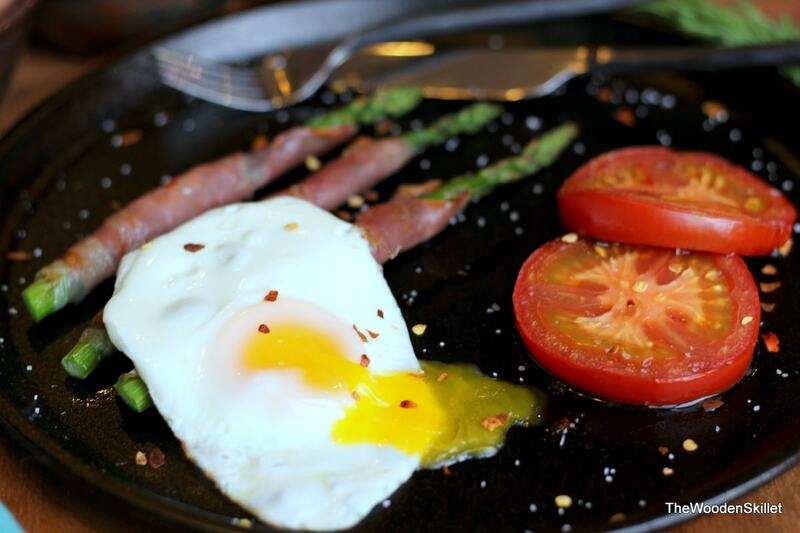 If you are looking for a different first course or even a new breakfast to try – this recipe doubles as both! 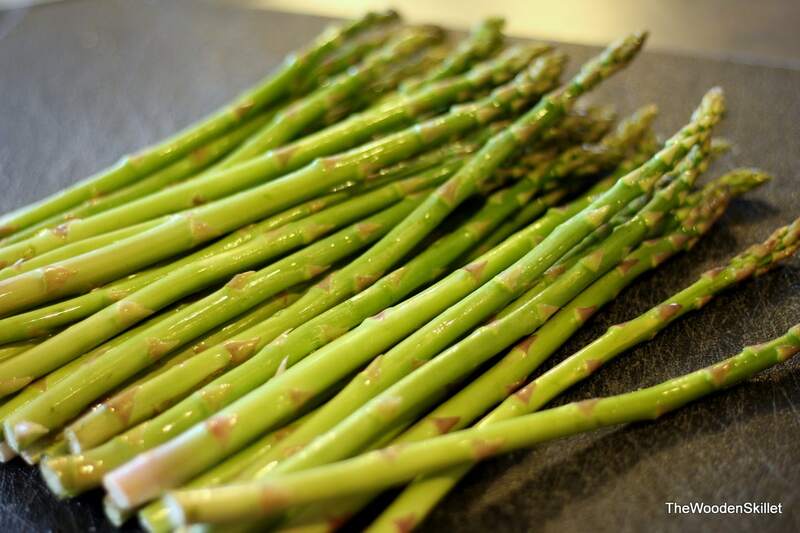 You could easily lighten it up for a first course with maybe only one or two asparagus or serve it for breakfast with two eggs, orange juice and steaming cup of coffee. 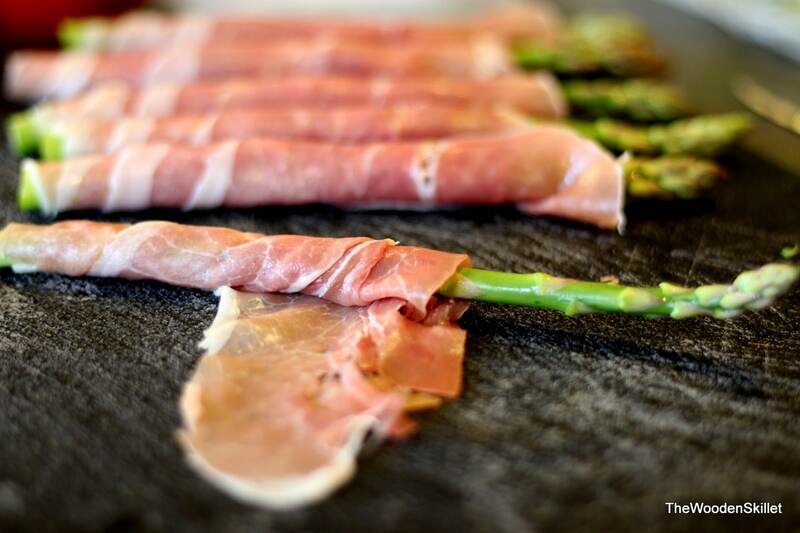 The saltiness of the prosciutto with the creaminess of the egg and the light, freshness of the tomato and asparagus make this a delectable combination. I sprinkled with red pepper flakes to give it a little bit more pizzazz, but feel free to do without. 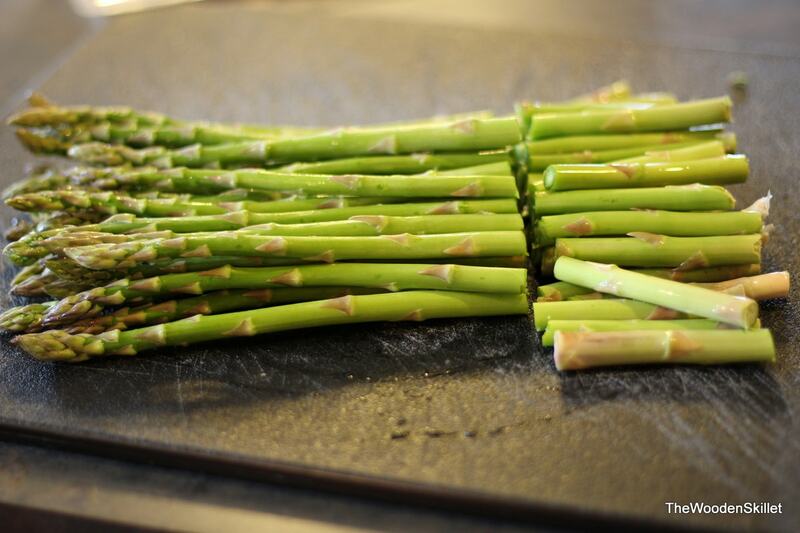 Broil asparagus on high for approx. 5 minutes. 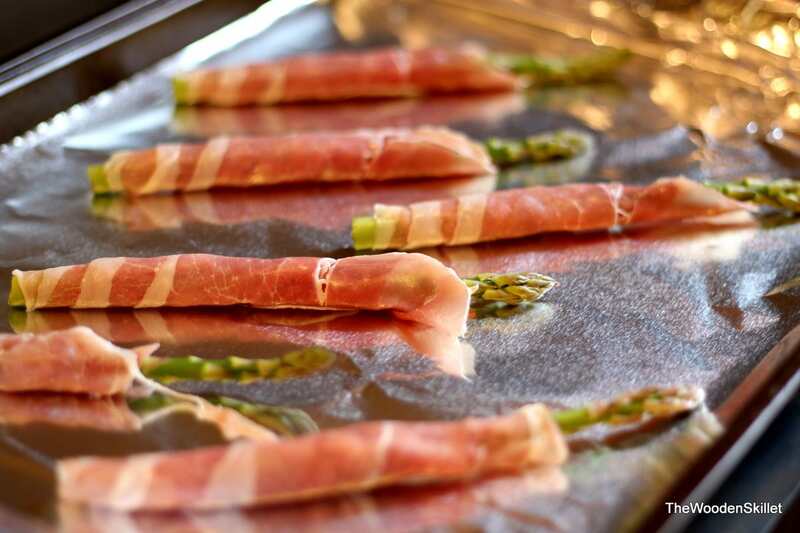 Then add tomatoes onto same cookie sheet or, drop down the asparagus to a lower rack and place tomatoes on their own cookie sheet on the top. 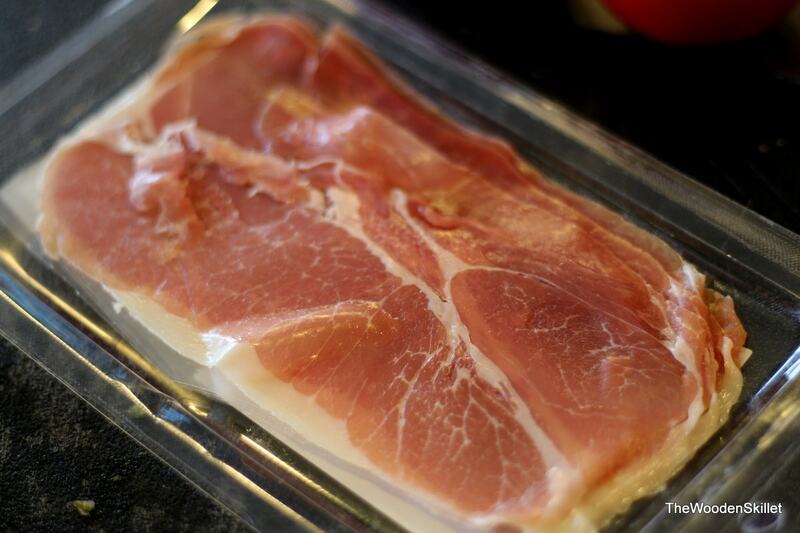 Let broil for about 3 additional minutes, or until tomatoes have begun to shrivel up nicely and the prosciutto is sizzling. 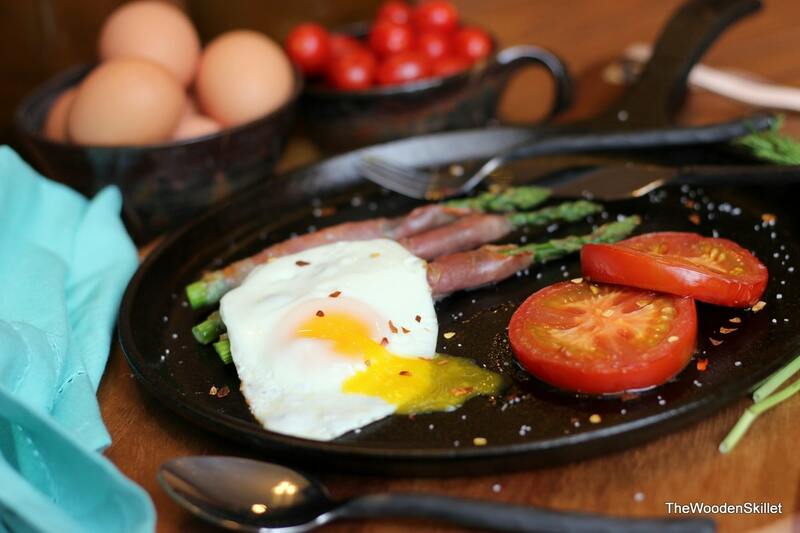 At about the same time you put the tomatoes in, heat a skillet and cook as many eggs as desired, over easy. 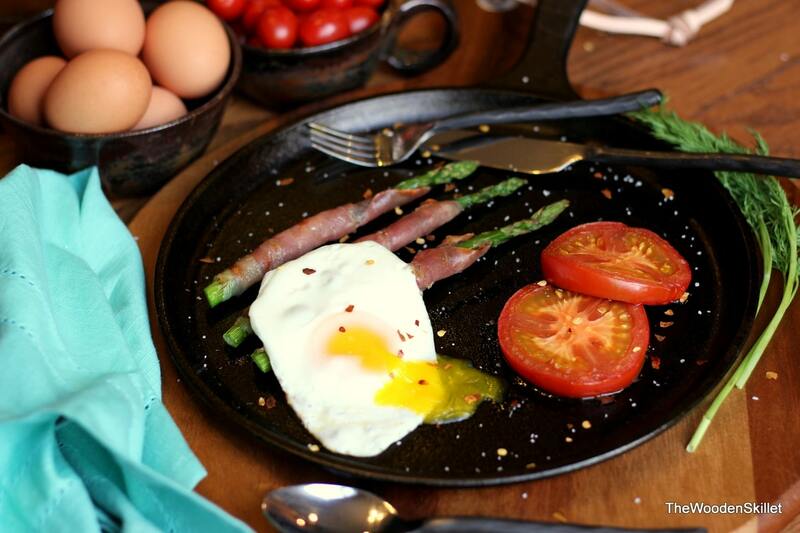 After about 2 minutes, add ghee or olive oil to skillet and crack your eggs into your skillet – depending upon how runny you like your eggs you can decide to cover your eggs or not. Covering will keep the heat in which will help cook the top of your egg more efficiently. 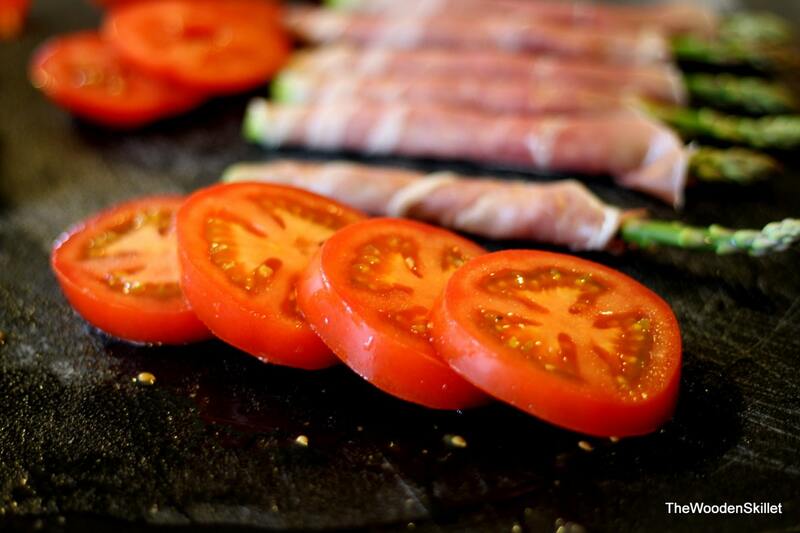 Remove tomatoes and asparagus after another 2 minutes or as soon as tomatoes are starting to shrivel up. 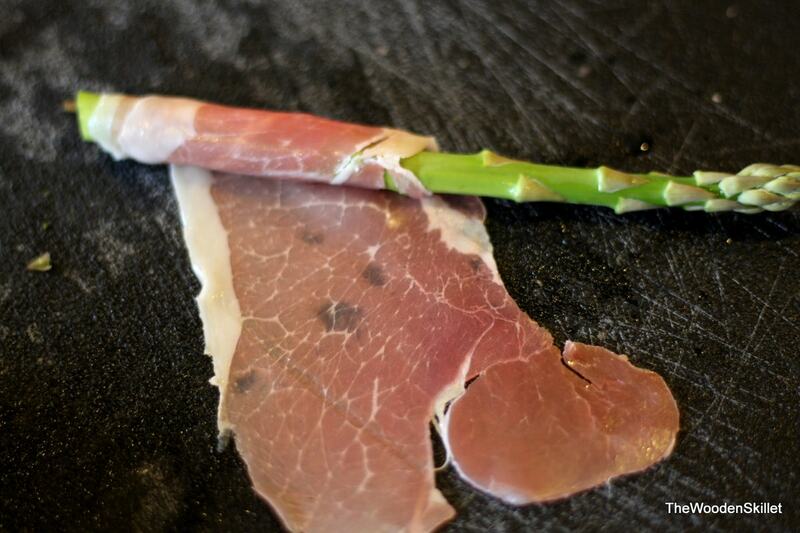 Plate prosciutto-wrapped asparagus and tomatoes immediately and top with your egg. Sprinkle with salt and red pepper flakes; to taste.